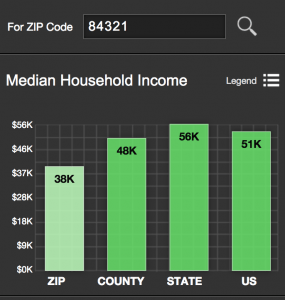 Home › At Home, Lifestyle › What Does Your ZIP Code Say About You? 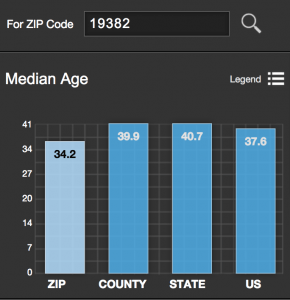 One of the more interesting things I’ve learned about recently is the Esri ZIP Code Lookup (hat tip: BetaBeat). The idea is that Big Data can crunch the numbers and use your ZIP code to figure out some of your likely lifestyle habits. Back when I lived in a smallish town in Utah, I constantly received baby formula samples in the mail. Not because I had a baby, but because, according to general data about my neighborhood, I should have had a baby. 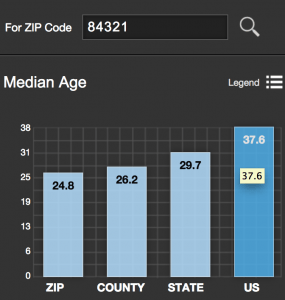 The Esri site takes your ZIP code, and uses data about habits to make an assessment of your lifestyle. I thought it would be a fun exercise to compare my old ZIP code (since I moved just over two months ago) to my new ZIP code. Do I fit into my new neighborhood better? Let’s find out. I found this an interesting mix of our community, reflecting the fact that our town had a university, and so included a lot of young families, as well as students. The university setting, I think, explains the low median age and the relatively low median income in my old ZIP code. I really do identify with Esri’s description of my current ZIP code as opposed to my old ZIP code. And, frankly, I do feel as though I fit in a little better here. What do you think? 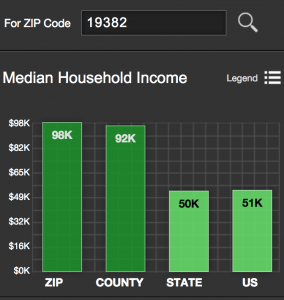 Does Esri’s description of your ZIP code fit your own habits? And if it doesn’t, does it explain why you might feel like an outsider in your neighborhood?